Tor software is used to protect your privacy by bouncing your internet activity around a series of servers/relays, in this way anybody trying to learn about your visited sites, location or other browsing habits will be unable to find right information. It also lets you visit any sites that are blocked on your local network or ISP end. The Tor Browser lets you use this awesome Tor software on your system without needing to install anything. When you run Tor browser, it launches your pre-configured web browser and protects your internet surfing. 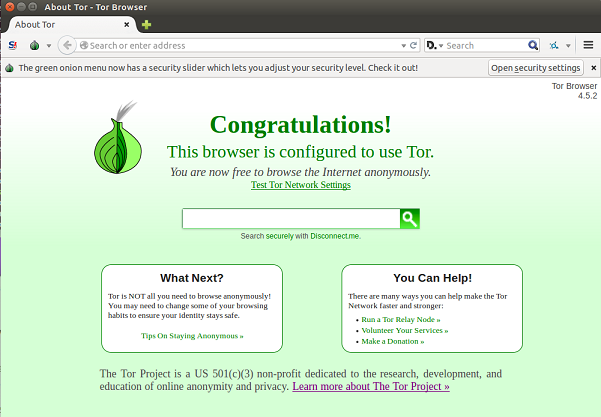 New version of Tor Browser 4.5.2 is out now. Let’s review its prominent features and installation process. Here are some of the prominent features and bug fixes in new Tor release. First of all, download the latest tor release by running the following command on your terminal. “Tor Network Settings” window will be launched, click “connect” from here to imitate the connection with Tor network. If your computer network connection is already using any proxy, then you need to use “configure” button here to initiate the successful connection with Tor network. It will take less than a minute to connect your computer with Tor network. Here the browser window that will be launched as soon as your connection with Tor network has been launched. Tor network has been one major name in the world of anonymous browsing. 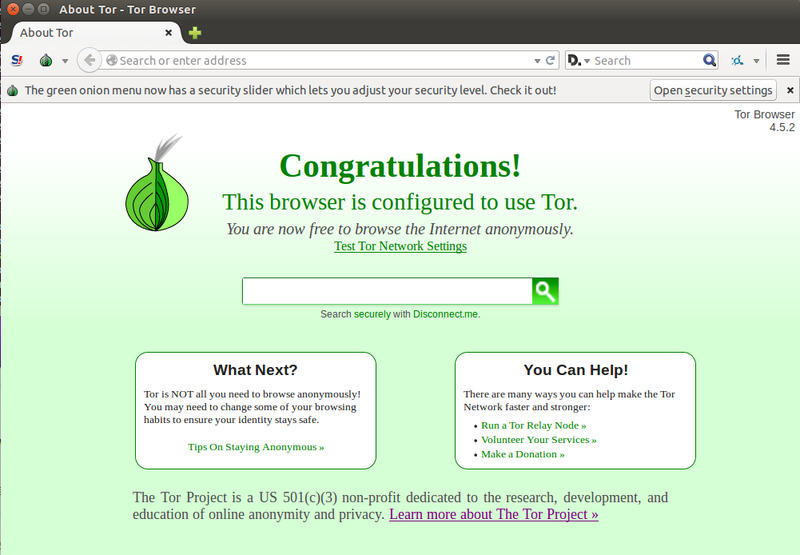 Tor team has also released an alpha version of upcoming Tor Browser 5.0 today, we will try to review it too. Hope you enjoyed this article, please do let us know in comments. Ever since Silk Road breakdown, Tor is crap. It is highly monitored by the government and nothing is safe and private there. Better switch to using VPN, I would recommend you Hide My IP from My Privacy Tools Inc.